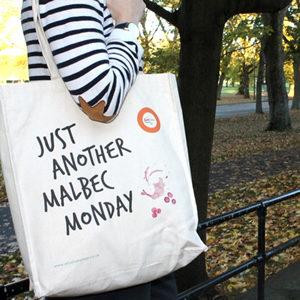 Every traveller needs some essential items to help them on their journey. 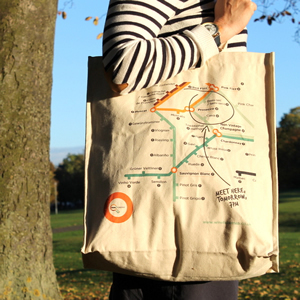 At WineTubeMap we have a number of items which would make the perfect addition to a kitchen or wine rack, whether it’s a little treat for you or a present for someone. We occasionally do limited runs and always want to hear what you’d like so get in touch if you can’t see what you want. All items are sent Royal Mail so please let us know if you need something by a certain date. 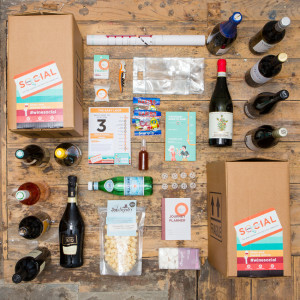 The WineTubeMap Social includes everything you need to create a seriously, fun wine party that will bring people together whatever the occasion. Stations include tasty treats, sensory tricks and delicious wines as well as all the wine kit you need to have a stress free party. Every kit comes with a personalised video link so the party is tailored to you. Perfect for parties at home, weekends away and get-togethers for businesses and organisations. We do two sizes of kit, small for 8 – 12 people and large for 16 – 24 people. Visit our dedicated pages for more information and how to book. This is the perfect, concise guide for anyone who enjoys drinking wine and wants to find out more. 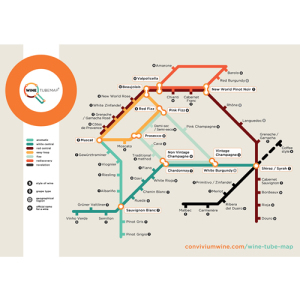 Arranged in an easy-to-use format in which different types of wine are shown schematically on a map like the London Underground, the reader can see at a glance the salient features of hundreds of different wines and how they relate to each other in terms of taste. 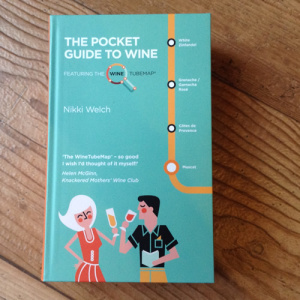 A unique and original tool to navigate the complex world of wine, The Pocket Guide to Wine enables wine lovers to find out more about the wines they already like and to make informed choices as they explore further. Click here to see inside and what the press say. 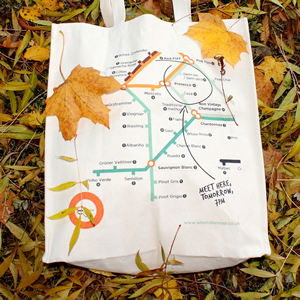 WineTubeMap Tea Towel – NOW UPGRADED! A full colour print of the WineTubeMap including a newly-added river. 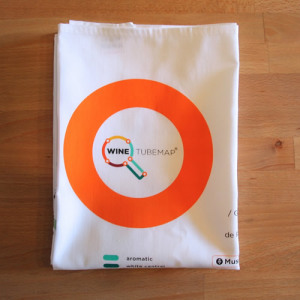 This is a great way to have the WineTubeMap on hand in the kitchen or to give as a gift to any wine lover to inspire their wine journey. 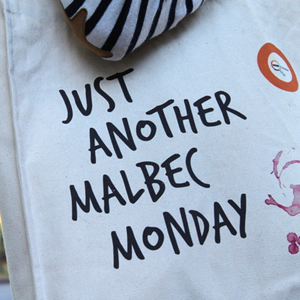 Colour fast and washable at high temperature, although you may want to save these for glasses only! If you can’t stop thinking about wine this A2 gloss poster would make the perfect adornment to your kitchen or bathroom wall, what better than planning your next stop whilst your in the bath! High quality gloss printing on high grade paper.